A transgender man writes about loving football, learning masculinity, and fitting in. Loving football, despite its flaws, as a transgender man. A lot of my friends have stopped watching football this season. It’s wrong to keep watching, they say, to keep supporting the NFL when we know the long-term damage the sport causes to its athletes and the way both league and team officials have looked the other way when players commit violent acts. Many of them are surprised to know I watch, knowing me as a social justice–minded feminist. I’m surprised, too. 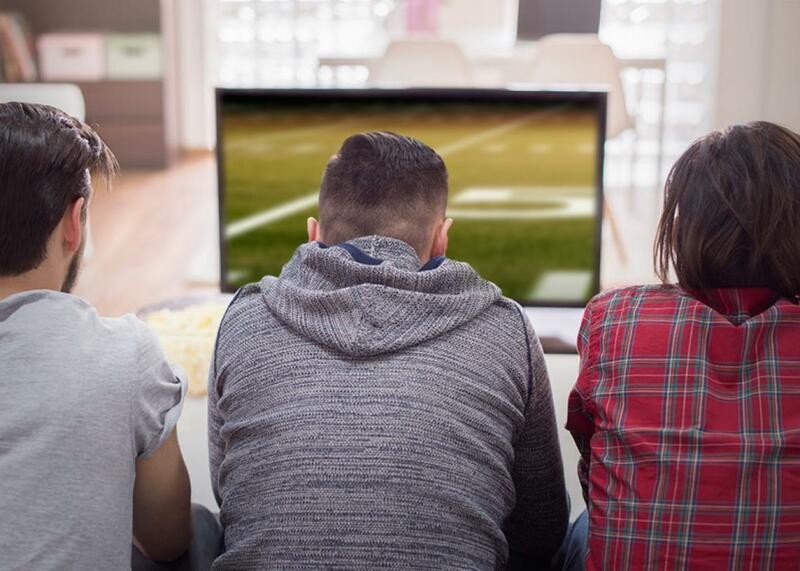 If you’d told me a few years ago that I would regularly spend at least 14 hours a week watching football, I would have thought you were crazy—and that was before I was conscious to these issues, before I knew anything about Ben Roethlisberger or Ray Rice or Jameis Winston, before I’d heard anything about post-concussion syndrome. Until I was 24, my slim knowledge of football came from a few places: bits and pieces of Jim Kelly–era Buffalo Bills games I’d watched as a kid, the movie Remember the Titans, the TV show Friday Night Lights, and the handful of games I’d been forced to attend (and refused to pay more attention to than absolutely necessary) in high school as a member of my school’s pep band. But a few things changed in my mid-20s. I moved from Western New York, where I’d lived for my entire life, to Ohio; soon I started watching Bills games while drinking Labatts as a way to combat my homesickness. Then I started teaching at Ohio State and interacting regularly with undergraduates who expressed so much enthusiasm for football that I couldn’t help but be caught up in it. Then, finally, at the age of 24, I came out as transgender and started trying to figure out how to live openly as a man. It was around this time—the autumn when I came out to my parents and began the process of accessing testosterone—that my interest in football skyrocketed. I watched every Ohio State game that season and caught as many Bills games as possible. It’s been more than four years and my interest has increased exponentially every season. Is it possible that one reason I now watch so much football, that I pay close attention to the players and the standings, that I live and die for a few hours each weekend along with the Bills’ performance—is it possible that it’s because of my rising testosterone levels? As someone who believes that gendered behavior is (mostly) learned, I want to say no, of course not. But the truth is a bit more nuanced than that. In fact, one of the reasons I began watching football is because I started living openly as a man, and that’s also one of the biggest reasons I’m still watching, despite all the good reasons not to. My open-minded parents raised me to believe I could do pretty much anything my brother could do. But I still lived in a rural town on the western edge of the Finger Lakes. Growing up, the men I encountered watched football, talked about sports, drank beer, and certainly didn’t talk about feelings or read poetry or anything like that. When I first began living openly as a man, though, I was in a completely different culture. I was in my second year of graduate school, working on an MFA in creative writing. The vast majority of my close friends were women; the male friends I had might enjoy football, but most of our time together was spent in other contexts: We sang karaoke, competed at bar trivia, discussed books and music, went to poetry readings. I could be one of the guys without necessarily embracing any particular masculine stereotype. I had lived there for much of my life as a woman, and it felt strange—wrong, almost—to move through those same spaces in a different gender. In Ohio, I never thought twice about using the men’s restroom; in my hometown, where most people had known me before, I constantly questioned who I was. I was sure that everyone saw me as an imposter—as not a real man. I didn’t consciously decide to start paying more attention to football in order to combat this feeling, but I don’t think the two are unrelated. The first Christmas Eve after I started testosterone, my parents asked me to come with them to their friends’ annual holiday party. I’d been doing the shots for just shy of a year; while I might not have quite looked like a 25-year-old man yet, I at least looked more like a 17-year-old boy than a 25-year-old woman. I was sitting at the table, talking to six other men, drinking a bourbon, and talking about the Bills’ last game. And then I realized that only a handful of people in the room knew that I was transgender. I sported the hint of a beard; I knew just what to complain about in the Bills’ performance (the ineffective offensive line, the inconsistent quarterback). I was just Silas, a guy in his 20s. I was feeling, for the first time in my hometown, comfortable with my identity. Like I belonged there. I was able, for a moment, just to exist. It’s been three years since that Christmas, but being completely comfortable with my identity hasn’t gotten much easier. My friends, my colleagues at the university in Indiana where I now teach, my family—they all treat me with respect and love; they treat me like a man. But I wonder, sometimes, if they really see me that way, or if they treat me like a man because they know it’s the right thing to do, because they know it’s what I need. But I don’t wonder about that on Sundays when I watch football at the bar near my house. My gender identity isn’t a secret—I made that choice long ago, when I published an essay about choosing my name; now, if you Google me, it’s one of the first things you’ll see—but I also don’t actively tell people unless it’s necessary. I have a beard, I’m going bald, I wear the same thing every Sunday for the games—a pair of khakis and a Bills jersey and the same boots I wear every day. If you ran into me at the bar, the only things that would set me apart from the other men would be that they’re all wearing Colts jerseys. And so, when I sit down at the bar and order a beer and a burger, when I strike up a conversation with one of the other regulars about fantasy football, or whether or not the Panthers are for real, or how great it felt to see the Patriots lose two games in a row, I feel comfortable. I stop, for a little while, questioning the way I look or the way I talk or the way I act. These moments in the bar, football on the screen and on our minds, counteract the times I got mail addressed to “Ms. Silas Hansen” because my college’s alumni association changed my first name but not the honorific in its system, or how many times I’ve been “ma’am”-ed on the phone or at the McDonald’s drive-thru because testosterone can’t change my speaking patterns and hasn’t lowered my voice enough to make a difference. Instead, I’m just a guy at the bar, forging friendships during commercial breaks, bonding over our shared hatred of the Patriots (because if there’s one fan base that hates those jerks as much as Bills fans do, it’s Colts fans). Eventually, we become friends who talk about other things, too: our families, our jobs, how we’re spending our holidays. I’m not faking my interest in football in order to fit in. I genuinely enjoy watching it, though the inherent violence does sometimes get to me, especially when I see players get hit, hard, in the head, and just shake it off and run back into the huddle. But I am genuinely invested in whether or not the Bills win every week (which is why I’m often in a bad mood on Sunday afternoons), particularly now that I have started to put down roots in Indiana and know that I likely won’t ever move back to Western New York; it’s one of the ways I hold onto where I’m from. I get that feeling in the pit of my stomach, full of hope and dread both, when a Tyrod Taylor pass is flying through the air, because that’s my team’s quarterback—and that’s what I say, my, we, us, which drives my brother (not a sports fan) absolutely crazy. It’s not that I think what I get out of football makes up for everything that’s wrong with it. I hope for a brighter future for the sport, with more effective safety measures in place, with more respect for the players’ long-term health, with more support for the players who have already paid the price, with policies that actually combat the epidemic of violence against women and children. I want these things to be solved because I don’t want to give up what football has given me—the confidence to exist as the person I’ve always been.